Cost-saving plans have put nearly half of libraries in Somerset at risk of closure. Residents will be asked to comment on cuts which would leave 15 of the 34 library buildings needing community involvement to remain open. Unless volunteers step forward to help, services would be provided at community venues or by mobile services. 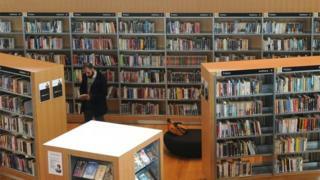 Somerset County Council said the changes would put the library service on a long-term sustainable footing. A report considered by councillors said the cuts were expected to deliver between £300,000 and £520,000 of annual savings. The authority said seven of the libraries would either run with community involvement or stay as they were. Resources and economic development councillor David Hall said: "Library services will continue across Somerset whatever the response from this consultation, but our proposals highlight that keeping some libraries open may require community support. "Where we are unable to keep libraries open, we will deliver library services in other ways such as via alternative venues or mobile library services." A 12-week consultation on the closures begins on 29 January and ends on 22 April. In 2011, the council was forced to shelve its plans to withdraw funding to 11 libraries after a judicial review.